Kindred Double 20 Ga sink 3 hole drilling -20-1/2" X 31-1/4" X 7"
Double bowl 20 gauge stainless steel topmount sink, with faucet ledge, 3 hole faucet drilling, Spillway<sup></sup> partition between bowls to prevent water on the counter, rear drains to allow for more storage below, and easy care satin finished bowls. Includes waste fittings, and is backed with a Limited Lifetime Warranty. 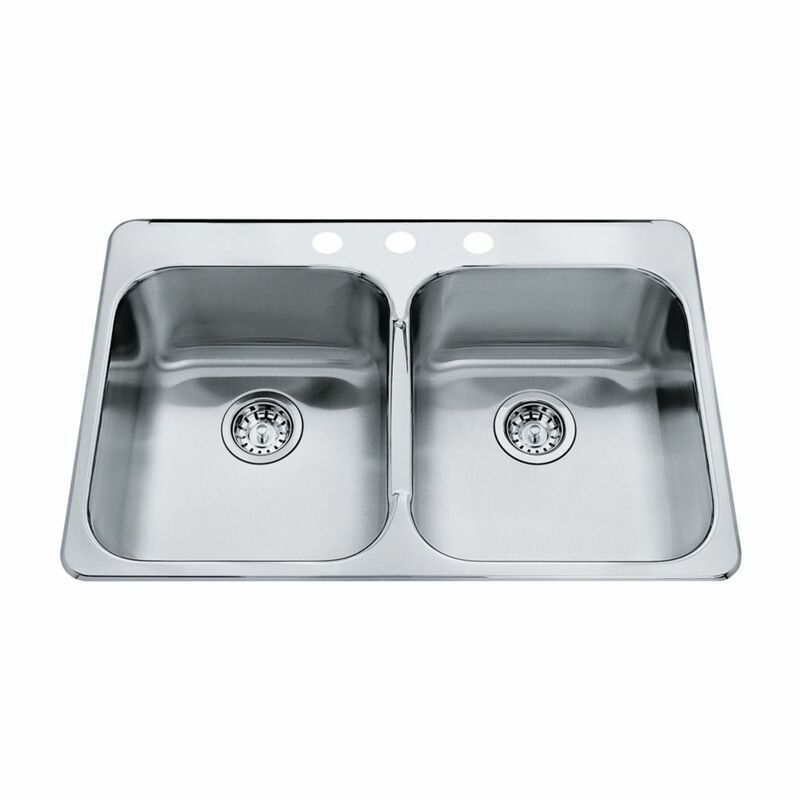 Double 20 Ga sink 3 hole drilling -20-1/2" X 31-1/4" X 7" Double bowl 20 gauge stainless steel topmount sink, with faucet ledge, 3 hole faucet drilling, Spillway<sup></sup> partition between bowls to prevent water on the counter, rear drains to allow for more storage below, and easy care satin finished bowls. Includes waste fittings, and is backed with a Limited Lifetime Warranty.